Guess what?!? 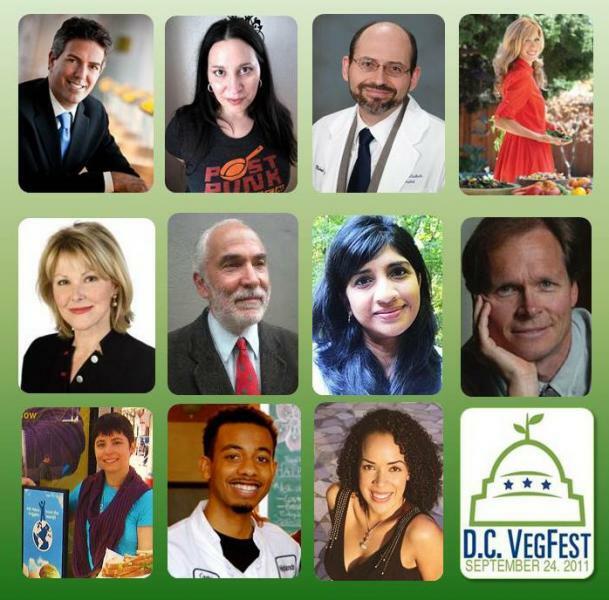 This week is flying by and the 2011 DC VegFest is drawing near!! I’m excited because I am Emcee & Master of Ceremonies this year! Erica Meier with Compassion Over Killing asked me months ago to participate and be this year’s Emcee. My answer … of course!! I attended this Fabulous Vegan Food Fest for the first time last year (with my fellow Vegan Friend, Yasmin Bowers). Well, I’m honored to show greater support (and hopefully what I do best) and be a part of a phenomenal line-up (and Yasmin is already gearing up to camp out all day long to show her support … thanks again Yasmin!!)! This year’s fest is going to be bigger than ever!! I certainly hope you can make it out (and camp out … like Yasmin)!! In between my stage flow and introduction of Speaker duties, I’ll also be hosting interviews for the Vegan & Healthy Lifestyle TV Show, ‘Health Food Happy You’ (with Director, Jorge Mera). To check out more about this show, please see the page link on my/this blog with video clips and details. ORGANIZED BY: Compassion Over Killing and the Vegetarian Society of D.C.
To find out more about Speakers/Presenters, please click here: http://dcvegfest.com/2011/speakers (yep, you’ll see me listed there too). Come out and join us in all the Veggie Paradise! !